Hey readers, remember that I did my blog giveaway to all my supportive readers in conjunction with my blog's 8th birthday? 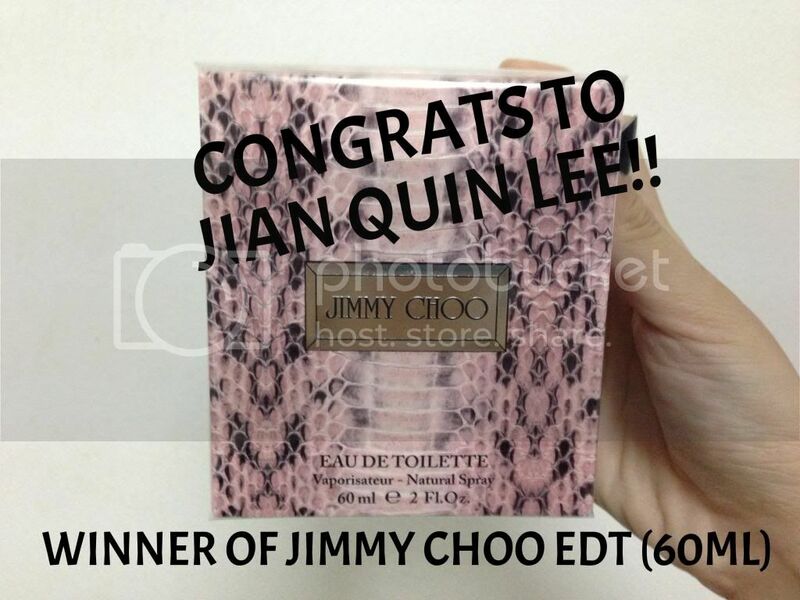 Today I would like to announce the winner of the Jimmy Choo EDT (60ml)! Yes. Only 1 winner would walk away with a bottle of Jimmy Choo EDT (60ml)!